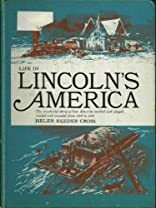 Life in Lincolns America was written by Cross. Life in Lincolns America was published by Random House Books For Young Readers. About Cross (Author) : Cross is a published author of young adult books. Published credits of Cross include Life in Lincoln's America and Advanced Mathematical Concepts.